I don't know how, but today is November 1st! That means that it's time for a new blogger interview post, and today's subject is the lovely CiCi from CiCi Marie! I didn't know her all that well before she sent me her answers to my interview questions, and it was so nice to find out more about her! 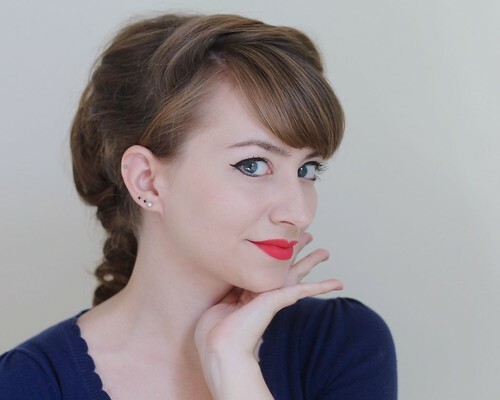 Get to know this lovely, vintage-loving English rose & be sure to check out her blog! Name: My real name (and not many of my readers know this!) is Carly! CiCi Marie is a play on my initials/middle names. Tell me about your blog: My blog, CiCi Marie, mostly features outfit photos, the majority of which are photographed in and around where I live, which is the beautiful, old university city of Cambridge in the UK. The blog’s given me a great excuse to drive around finding the prettiest places nearby for me to stand in front of, with or without a curious/puzzled audience! How did you get into blogging? I was talked into it by a friend, who proposed a joint venture so that we could keep a flow of content up while we both worked full time. I took a lot of convincing, because as much as I loved other blogs, the only thing I felt I could write about was how I dressed, and the idea of taking outfit photos terrified me! Anyway, she managed it and we started contributing together for a year, but ultimately her heart wasn’t in it and she left. The blog was originally called CiCi & Marie, because she was technically ‘Marie,' but as we chose the name partly because we both have Marie as a middle name, it fortunately made sense to keep it! The blog’s changed so much since its beginning - if you go back to the early posts you might be surprised at just how different they were. Where you work or what you studied in school: I work for a relatively well-known book publisher in London, in their division that publishes books for university students and scholars. Your favorite musical artist: A few years ago I’d have tried really hard to sound cool in this answer... but I’m not. I basically listen to most pop music. I’m going through a bit of a Franki Valli and the Four Seasons phase at the moment, having seen the Jersey Boys biopic recently. Your favorite musical: I’m one of those people who doesn’t really get along with musicals, but considering how much I loved the Jersey Boys film, I’ve been meaning to see the musical for a while. Your favorite movie? I’m not that into them, but one of my all-­time favourites is Some Like it Hot! Your favorite guilty pleasure? If I’m given control of the TV remote, I will watch the worst soaps and trash. I don’t remotely enjoy "intelligent" programmes; documentaries everyone else will rave about for weeks largely bore me to tears. Drink of choice: Rum ’n Coca Cola... but actually, I get very sick after a very small amount of alcohol, so I tend to avoid it. Favorite food in the world? It’s easier to say what I don’t eat, as I’m an eating fiend (one day it will catch up with me!)... and that’s essentially parsnips, beetroot and lemon-­flavoured things. If it has chocolate, I’m there. I eat chocolate in some form every single day! What's your favorite season and why? Summer! Probably because I’m a Brit and all we do all year is wait to see some sunshine and feel a bit of warmth, and then once it happens, it’s like actual magic has happened and it takes over our media ­and most of us complain it’s too hot. Not me, mind, I love the heat! Which actress would play you in a movie version of your life? Natalie Portman, please! Because a) I wish! and b) she’s fairly petite too, so we’d at least be a similar size and c) because I can’t have Audrey Hepburn. Favorite book (from childhood or now): You might guess from the fact I work in publishing I like books more than a little bit, so this is near impossible to answer having literally read hundreds... but easier to say what it was as a child, as it was a book called The Four­-Legged Ghosts, which is about children living in a house that is haunted by the pets that had previously lived there. I basically just thought it was a great idea having a house full of pets only I could see (I still do). 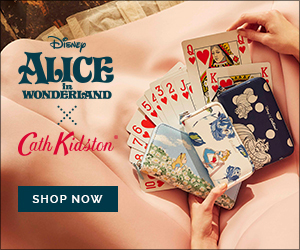 Your favorite place to shop or favorite clothing brand: This is a hard call but I think I’d have to say that UK-­based Collectif is my number one. I’ve been buying clothes from them since they first started out, when a lot of pieces involved neon leopard print (thankfully, in those days, I quite liked neon leopard print), among other quite "alternative" things. I’ve loved following their growth and change as a company and still avidly watch as their new season items come in (and, let’s be honest, buy most of them). What I love about them is their range and 50s influences, and the fact they offer so many great separates as well as dresses, which I much more frequently wear. They are also very involved with and respectful of their customers and fans, which is lovely to see. How would you describe your personal style? I’d say it’s vintage­-inspired, but largely from the high street. 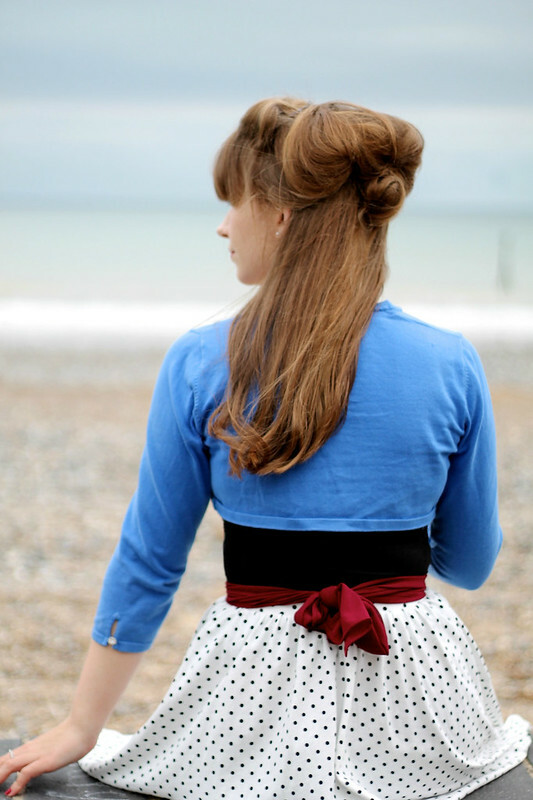 My outfits are predominantly modern pieces, but I try to find a way to put my own 50s­-style twist on them. Of course, I do love a good piece of repro too! Looking like I’m decked out in head-to-toe vintage wouldn't be me, though. If you could live during any other time period, what would it be? I really wouldn’t, because I couldn’t cope without the internet or gender/racial/etc. equality... but if I could visit, it’s no surprise I’d head back to the 50s for a while so that I’d finally not be the most over-dressed person at the supermarket anymore! What's the most beloved article of clothing you own? Tough! In terms of something I’d struggle to replace now, it’s my Swedish Hasbeens. They go with everything, are really quite a lot more comfy than they look, and I got them for less than half price in a sale a few years ago. Do you have a style icon? If so, who? I’m hugely inspired by all of the bloggers I follow these days, but the first blogger I ever followed is probably still, all these years later, my absolute icon and I’ve learned a lot about fashion blogging from reading her posts for nearly a decade. Ulrika is incredibly varied in her looks, though she mostly prefers 40s-, 50s- and 60s-inspired outfits, and she just always looks wonderful to me. I love seeing what she puts together and she’s the reason I bought my Hasbeens, after seeing hers. I think a small part of me wants to be her (ok, not that small). What's one thing that most people might not know about you? I absolutely love dance­-along video games ­-- the kind you leap around to in front of the TV waving a Wii remote in one hand, looking utterly ridiculous. I have 11 games, including every major Just Dance release, several spinoffs and copycats, such as those entirely devoted to Michael Jackson and Abba. My friend and I got so good at them that when Just Dance 2014 came out and we were able to compete online, we were frequently finishing top 10 out of hundreds of players, and we both got as high 2nd place... the elusive 1st still escapes me though. Go­-to accessory? Probably things that can go on my head ­- whether that’s a hairdo, a hat, headscarf or hair flower. It’s a pretty simple and cheap way to really make a big difference to an outfit and change whether it’s casual, formal or whatever else you fancy. It’s one of the reasons I love having long hair, as I can shape it in so many ways. And I love a good beret in the winter or a flower in the summer. What's been your favorite post from your blog so far or favorite outfit you've worn? I think my favourite post so far is this one. We went to the beach when it was really cold and windy and I had to really snap out of a massive sulk to get the pictures. It was such a lot of effort, but the result was really rewarding, as the light was amazing and the beach backdrop worked so well with the cloudy grey sky. And I then got to have a cup of tea in a nearby cafe and was really happy going through my camera to see the results, so it reminds me of that feeling. I wouldn’t say it was my most imaginative outfit, and in fact before we left I almost changed completely, but now I’m glad I didn’t. What are some other blogs that you love? The Freelancer’s Fashionblog, Forever Amber, Keiko Lynn, Wish Wish Wish... I could go on and on and there’s something different I love about all of them. And I love this blog because I can rely on it for amazing dresses and the best handbags you’ll ever see! PS: Today is your last chance to enter my Big Birthday Giveaway! Some seriously amazing prizes are up for grabs, so I promise - you don't want to miss this. Get all the info & enter here. You have until midnight (EST) tonight, so don't delay!! So beautifl pics!thank you for this nice interview. Way to go CiCi Marie! You are blowin up!!! Great little interview... you are too cute for words! So nice to find out more about the enigmatic CiCi! I learnt lots - some more things we have in common, and some where we differ (what have you got against beetroot?!). I too have followed Ulrika for a long, long time and have a bit of a girl-crush on her. Also great to discover this blog, another one to add to my must-read collection! I love CiCi's blog! Hers is one that I check at least weekly, what a great interview! Aw I love reading Cici (Carly)'s blog! 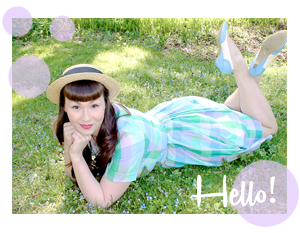 Isn't it always a lot of fun to interview other bloggers because you really get to know them :) Thank you for sharing! Ah I follower her blog she seems like a lovely girl. I loved getting to know her more through your interview!